How wonderful when a hobby starts to sustain itself. That is a fantastic looking bit of kit!!!! How are you exhausting out of that room? At the moment with 125mm heatproof flex pipe Brett for trial only but next week (or the week after) it will be flued properly up through the roof. And commissioned by a suitably qualified gas fitter. It has aircon to control the temp and a couple of exhaust fans for safety sake too. At the moment with 125mm heatproof flex pipe Brett for trial only but next week (or the week after) it will be flued properly up through the roof. And commissioned by a qualified gas fitter. It has aircon to control the temp and a couple of exhaust fans for safety sake. Looks like a great setup to meet your needs. I’ve got roast envy now. Wonderful stuff Luke!!! Sounds like a brilliant setup mate! Luke do you mind me asking where you bought this? CRA? Talk Coffee? Direct from CRA as it was their demo machine. I think if your in vic talk coffee is the go to though he is their agent. Chris has been super helpful with some minor issues I’ve had especially good considering I didn’t buy through him. Ok thanks for that. 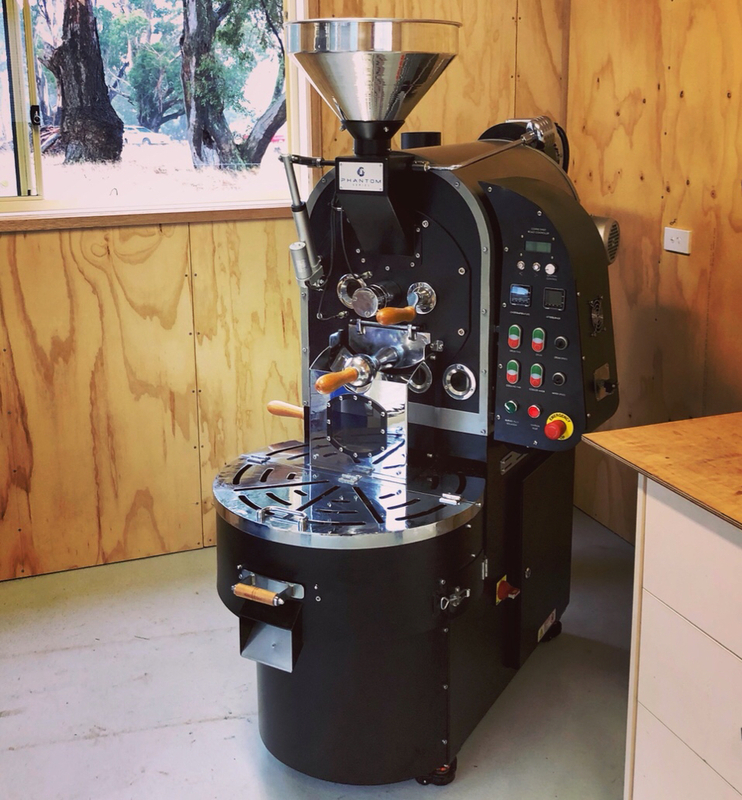 We are in NZ and are looking for some options for a new roaster. It’s slim pickings over here so it may be worth talking to CRA or another Australian supplier. Probably looking in the 15-20kg range. I believe they have just released a 15kg and also do a 22kg. In saying that if you wanted a 10 (second hand) Chris is selling his has garanti. I’ve used it a fair bit and it’s great!